The first book in a chilling new trilogy from the author of the internationally bestselling Last Apprentice series! Tom Ward is an apprentice no longer—he is a full-fledged spook battling boggarts, witches, and other creatures of the dark. 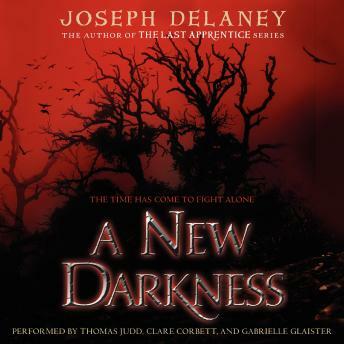 A New Darkness is the first in a three-book arc that introduces brand-new readers to Joseph Delaney's haunting world. A New Darkness begins a three-book arc that will introduce new readers to Joseph Delaney's deliciously scary imagination, and electrify his longtime fans. A New Darkness is perfect for every reader who loves thrills, chills, action, and adventure—no prior knowledge of The Last Apprentice series is necessary!